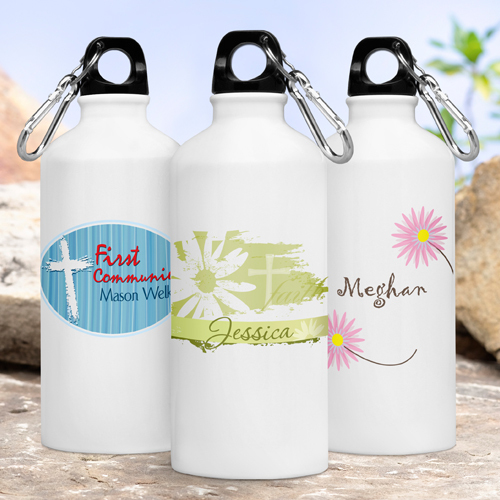 * The kids in your life will celebrate their faith each time they use our Personalized Inspirational Water Bottles. 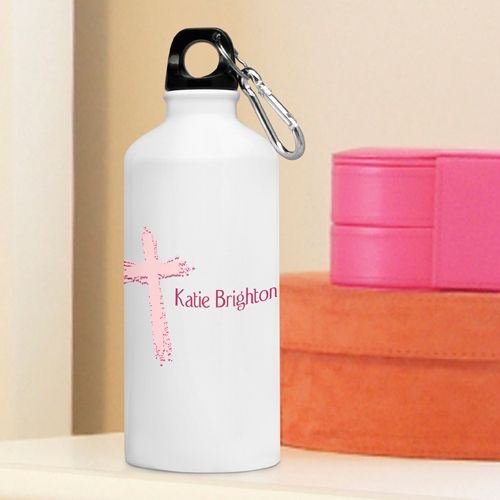 * Let their individuality shine with a wide variety of designs and personalize with the child's name. 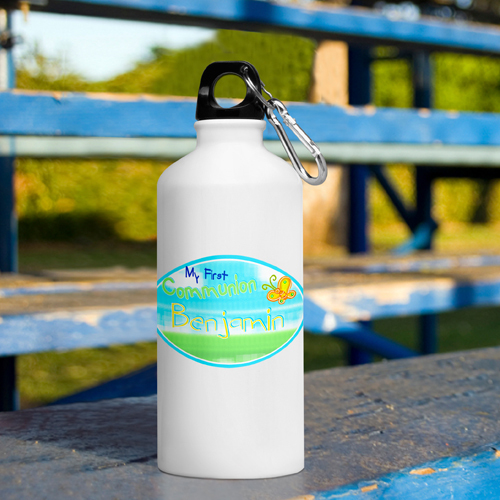 * The bottle holds 20 ounces and features a leak-proof cap and handy clip/carabiner for hanging from backpack or sports bag.